NXT-ID’s new smart wallet holds all the cards. 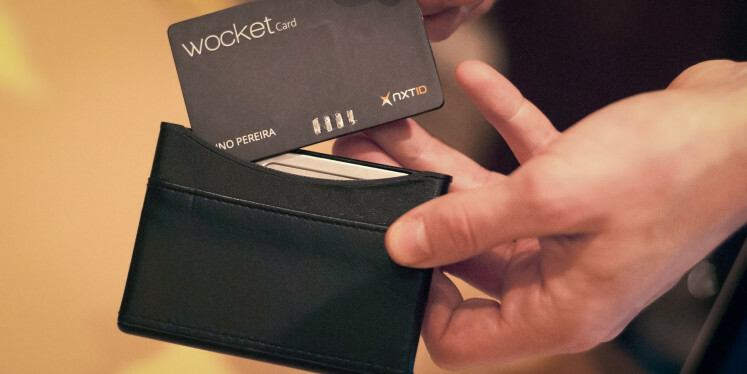 Wocket is a new smart wallet from NXT-ID scheduled to hit the market in early 2015. NXT-ID has leveraged its background in biometric authentication to create a product that protects your identity without requiring you to change any habits. Carry a wallet, use a credit card at any store, or grab cash from the ATM—Your actual credit cards stay securely at home while Wocket takes care of it all. Wocket is a device that’s roughly the same size and weight as a traditional leatherfold wallet. 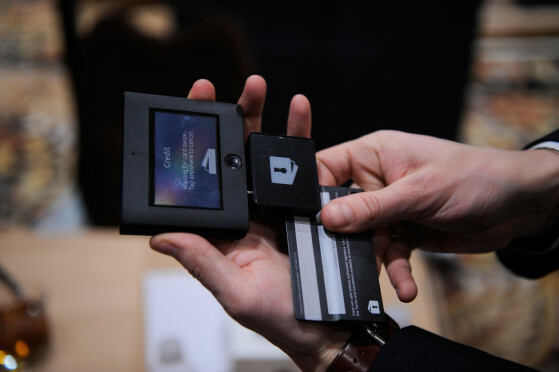 The smart wallet is made up of three separate pieces. The main Wocket device has a touchscreen that can be used to select a specific card to use or enter your pin. 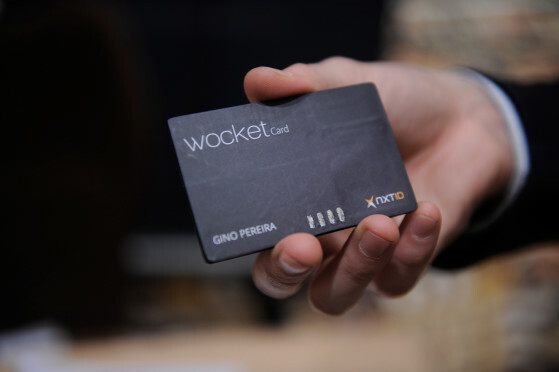 There’s also a Wocket card that can be used in place of your regular credit cards and a thumb-sized scanner used to load your regular credit cards onto the Wocket. With so many smart wallets coming out onto the market these days, what makes this one so special? Wocket is a stand-alone device—no need to pair with a smartphone. Your card data gets stored securely on Wocket and is not transmitted via wifi/bluetooth or stored in the cloud without your permission. While Wocket does have an app for users who prefer to input data via smartphone, it is not required. You can further enhance Wocket’s security by biometrically locking Wocket via voice recognition. Any card with a magnetic stripe can be stored on Wocket by simply swiping the card through the paired scanner. Other cards such as coupons, membership cards, or insurance cards can be added to the Wocket using the touchscreen or the app. The Wocket can store up to 10,000 cards and can be used anywhere in the country that accepts credit cards. 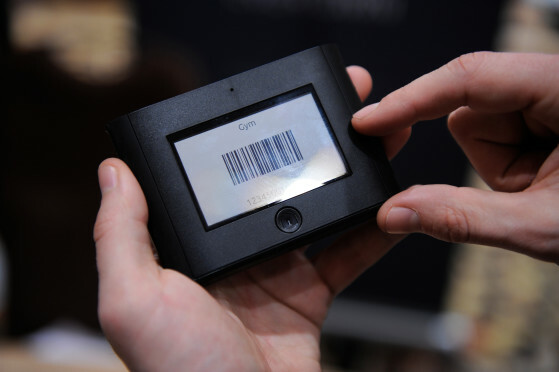 It can also be used with barcode scanners, ATMs, and QR code scanners. It comes in a variety of colors and styles, from ostrich-leather to a traditional bi-fold leather wallet form. The Wocket does not use Chip and Pin or EMV technology, though the team is working on an EMV equivalent to be rolled out soon. But what if you lose your Wocket? It’s a scary thought, if all your card data is on just one device. However, there’s no need to worry—your credit cards are all safe at home. Just cancel your Wocket account and start fresh. Your data stays safe and secure behind Wocket’s biometric lock- and tamper-proof chip. Wocket is easy to carry and offers a comforting level of security, and we can see it fitting the needs of many people. We’re curious to see whether its release sees many folks switching from regular wallet to Wocket.